Happy Wednesday, gaming lovelies! This week brings some amazing game news, a public mansplaining meltdown, and support for making dragons great again. Read on to learn more! The list of nominees for the 2016 Spiel des Jahres (Game of the Year) award is out. The internationally renowned award has been recognizing excellence in table top game design since 1978. The coveted top honor will be announced on July 18 in Berlin. The heroes in a half shell are at it again with a new game battling on the streets and sewers of New York. The game has a 4-player online co-op mode and baddies like Bebop and Rocksteady. It looks like they’re keeping the classic TMNT fun, which I approve of with two thumbs up. 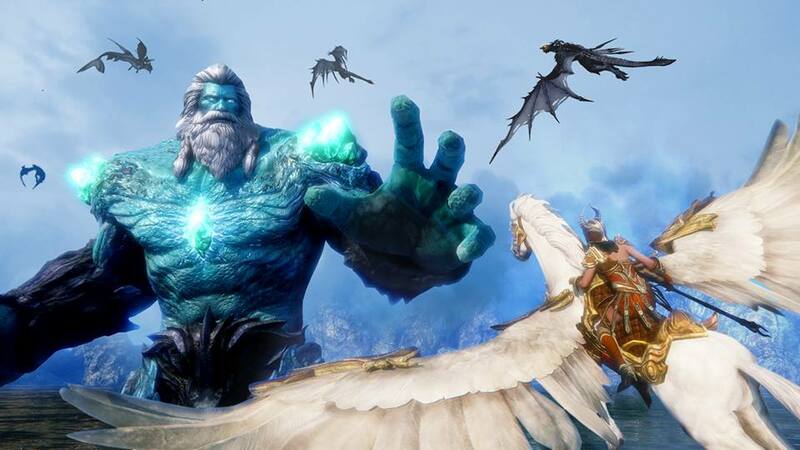 If you’re ever wanted to ride into battle on dragons and fight chaos, take a look at this beautiful fantasy game. The last closed beta sign-up is happening, so if you want an early peek head over now to throw you name in the hat. Did you know that playing a game could help with Alzheimer’s research? Released earlier this month, Sea Hero Quest does just that. The navigational skills players use in the game is being tracked to create a database of human spatial navigation to help create benchmarks. The project is fascinating, so even be sure to take a peek even if the game isn’t your dish. With all the DOOM buzz, the folks at Polygon released a game play video played by one of their staff. Nothing out of the ordinary, except that the video has been criticized by some in the game community because the player doesn’t appear to be very good. In this take-down of gaming gatekeeping over at Paste, Garrett Martin reminds us that we’re all gamers here, whether you spend all your free time gaming or just every now and again. I’m all for having a lively debate about how the term “mansplaining” may make folks feels alienated. Sure, I’m down for that. But when folks, like Minecraft creator Markus Persson, don’t get their way, instead of engaging in conversation, he uses the c-word. Yup, nothing proves the point like that. Sheesh. Not to throw politics into our gaming mix, but if you haven’t already checked out the DungeonsAndDonalds parody Twitter account, you’re in for a treat. 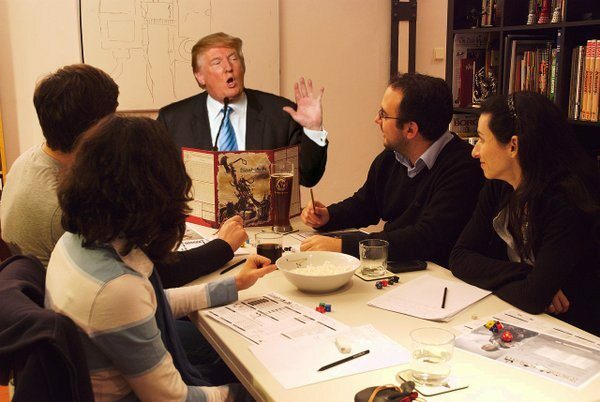 The tweets feature Donald Trump as a DM, photoshopping dice, and other D&D accouterments into well-known images. If you too want to #makedragonsgreatagain, this feed is for you. That’s it for this week! Until next, happy gaming!